The licensing of names and images from fictional works, including the names of cartoon characters and film titles, is growing exponentially in the PRC and in relation to an ever-widening range of consumer goods. While media companies, including Hollywood studios, have the most to gain from this sector, their business partners stand to benefit greatly also, including overseas companies taking master licences, local Chinese licensees and companies managing the licensing activity of others on their behalf. While the potential rewards from merchandise licensing can be high, business plans will often be impossible to implement without early and close attention to potential pitfalls in IP registration and the management of licensees acting under relevant agreements. 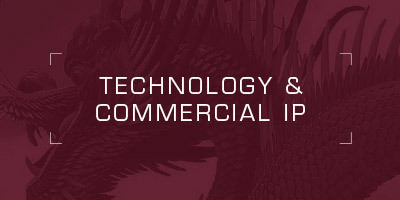 This is the first of a two-part article briefly introducing best practices in this sector, addressing first the securing of the relevant IP, and then the licensing arrangements by which that IP is exploited. The decision to spend significant resources on filing large numbers of applications for registration of trademarks often presents a chicken-or-egg conundrum. File too late and registry pirates will file first, thereby stifling the interest of potential licensees and retailers to handle the product. File immediately after the IP is created and resources may be squandered if the property never takes off. Options for reducing the costs of such filings can include filing fewer trademark applications for design marks – including both logos and stylized word marks – and filing separately for them as copyright subject matter with the Copyright Protection Centre of China under the National Copyright Administration (NCA) in Beijing. In China, for trademark oppositions and invalidations, the existence of a prior copyright registration can trump a trademark application filed in any class by a pirate for a similar design. Consideration can also be given to filing for English and other foreign-language marks together with Chinese-character equivalents in a single composite application, rather than separately. Applications can also at first be limited strictly to core classes of interest, rather than every class of potential interest. Quite often, licensors are oblivious to the fact that their English marks already have a Chinese-language equivalent. In other cases, there may be no Chinese equivalent but Chinese consumers quickly devise a nickname that then becomes the de facto Chinese equivalent. In some cases, and assuming the marks don’t get pirated, the licensees themselves may file for the Chinese name, ostensibly as a favour to the licensor. When relations sour, these filings routinely become a bone of contention, with pirate-licensees demanding significant compensation or other consideration to relinquish the mark. It is therefore advised that Chinese-language branding be considered at a very early stage in any merchandise licensing programme. Where a property has not yet been licensed for the Chinese market but has already achieved a definite degree of fame in the United States, Europe or Japan, it is likely the products are already being sold in China (either via backdoor sales at authorised factories or via parallel channels such as Taobao.com and other domestic trade platforms). In many cases, the property will quickly become the subject of outright counterfeiting as well as piracy at the register. Typically, IP owners will await news of pirate trademark applications, or sightings of counterfeits, from their business partners in China. But best practice dictates that pro-active searches be conducted on a routine basis – best monthly – to identify fakes and pirate trademark applications soon after they are filed rather than after they are gazetted – typically a year after filing. News of counterfeit offerings and IP piracy can then help in making faster decisions on trademark and copyright filings. If a key trademark has already been pirated, and the pirate’s trademark application has not yet been registered, consideration can be given to launching the licensed property in the expectation that the pirate’s application can be prevented from registration through the filing of an opposition or perhaps a purchased assignment. Oppositions normally take 12 to 18 months in China; if unsuccessful, the pirated mark is deemed registered and thus technically enforceable. It is therefore advisable to present the best case possible in any opposition in the first instance, including presentation of the most persuasive evidence available to prove use and reputation of the property (ideally from sales in China pre-dating the pirate’s application) as well as the pirate’s bad faith. The latter evidence is best compiled with the help of private investigators, preferably accompanied by Chinese notaries who can witness incriminating statements and any available physical evidence of bad faith. Fortunately, the amendments to the PRC Trademark Law introduced in May 2014 contain clearer prohibitions on the filing of trademark applications in bad faith, including by agents; and the Supreme People’s Court (SPC) is planning to issue provisions later this year that are expected to explicitly extend similar protection to the titles of copyright works and the names of fictional characters. However, the exact scope of protection under these future rules will only be clarified over time. Further, some trade platforms in China – including Tmall.com – currently require evidence that relevant marks have already been registered, not merely filed, before allowing sales through their services. All of this argues in favour of registering relevant trademarks in China sooner, rather than later, and for a wider range of goods than in other markets.